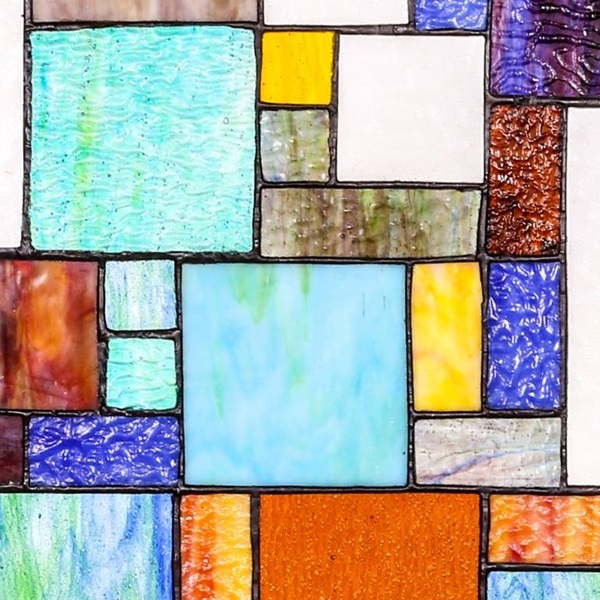 Turn your window into an art gallery! This modern style panel has very cool aesthetic and made with 100% handcrafted glass! The panel has a multitude of color and texture. There is a variety of art glass represented, each requiring a different, meticulous technique. 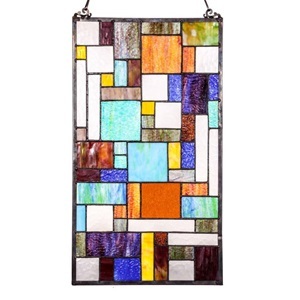 It has striated glass, showing mixtures of color and rippled glass providing a unique texture and look. 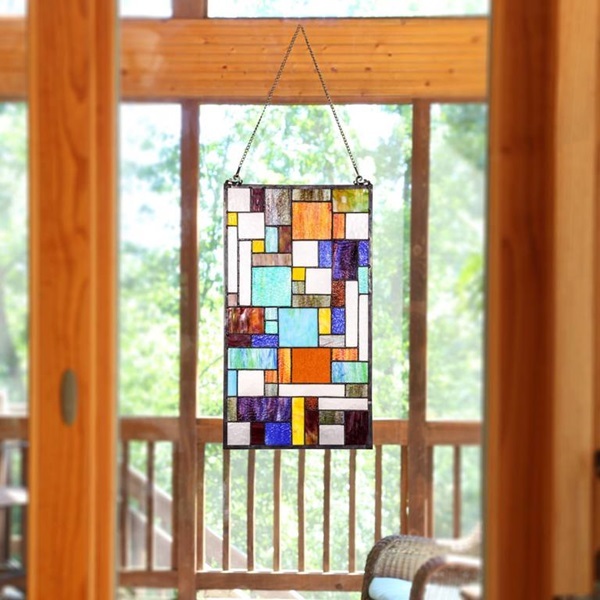 This is the perfect accent for the modern home or for anyone that appreciates the beautiful craft of glass making.